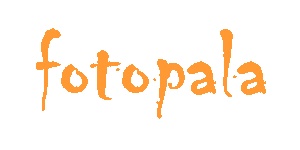 Some pages on Fotopala.com can help you learn new Spanish vocabulary words by helping you associate an image with each word. For more information on the importance of building your vocabulary when learning a new language, go to our page at What is Fotopala? Click on any of the following links to start building your vocabulary: Body, Folk, Food, Garb, Grow, House, Junk, Pets, Play, Say, Soul, Trek, and Work. Listening to Spanish TV and radio is one of the most effective ways to improve your Spanish. Go to our Spanish Public TV and Radio page to find links to sites managed by Spanish-speaking countries that are supposedly free and unbiased public programming. Also below there is a Downloadable Spreadsheet – Various Spanish TV and Radio Stations, however this is different from our page at Spanish Public TV and Radio.